The past months have been very lively in the Youth Section. In February a meeting took place on the topic "Spiritual Fellowship in Service of the World", where the question of community building was addressed from the perspective of a spiritual search. How does the individual’s search remain genuine? How does it transform life and how does life transform the relationship to the Spirit? How does Anthroposophy live in individuals and how does it form a bond amongst those who want to shape life based on a connection to Spiritual Science? The topic was discussed intensively through various approaches that gave a wide panorama of the different perspectives that can be perceived today. 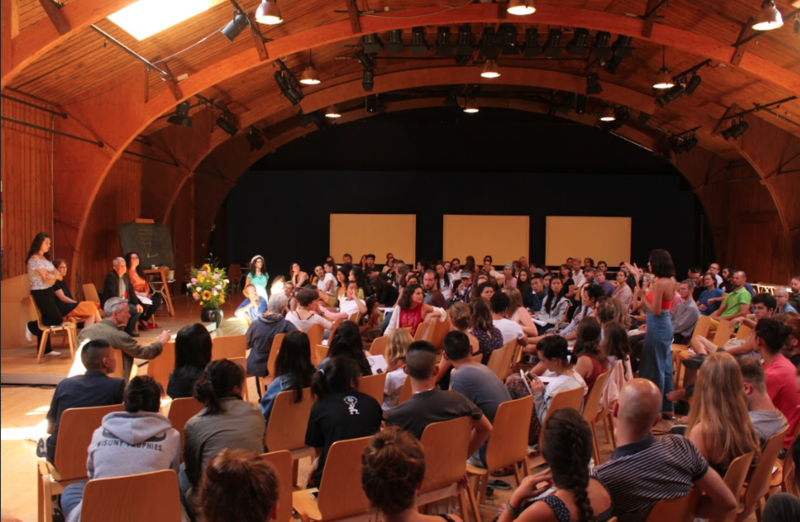 In July, young people from all over the world took part in the Goetheanum’s youth conference. The topic "Becoming Human - Questions for a Co-created Future" was developed by 14 people from different countries for over a year. The focus on the topic of a commonly shaped future was present and tangible in the process of preparation, as the organising team brought with them many different approaches to work and perspectives from their varied cultures. Enabling participants to be actively involved in the unfolding of the conference was the starting point for the preparation. Questions on whether "being human" entails making a decision on whether and how we act in areas such as economy and the digital world, both challenged us and impulsed us for future work. "How would the world look like in 2030, if what lives in me should become reality and what will I do to make this happen" is the question of our research project. Andrea and the team are in the process of evaluating 40 interviews with young people - a wonderful project. It is already becoming increasingly clear what they have to say about this question, revealing a picture of what our desired future may look like. An article with first conclusions will soon be published. It was a great joy for us to be able to accompany some of the many initiatives in other countries, both by taking part and from afar. The student conference "Connect" took place in Slovenia last April. Later in July two meetings happened, the first Youth Section conference in Latvia, "Momentum", and "Coraggio" in Italy. In Malaysia we attended the first youth conference "How to Find and Realise My Personal and Social Life Mission?" The diversity of cultures, languages, expectations and ways of life are a constant reality in the Youth Section. Questions that arose from the experience of this diversity gave the opportunity to study Rudolf Steiner's lectures on the Folk Souls and their Mission and to develop the project Mapamundi, which explored national and cultural identity from a young perspective at various meetings - including the latin conference Alma Humana and the Social Initiative Forum in Japan. A small preview: on 15 December we invite you to a colloquium where the first results of the research project will be presented. From 31 January to 3 February 2019, the February Days will take place, this time with a theme on art and artistic creation. From 28 February to 3 March, the next meeting for members of the School of Spiritual Science is scheduled. From 23 to 27 April there will be the big international students' conference on the occasion of 100 years of Waldorf school; the theme this year is the very inspiriation for all the work of the Youth Section: what we strive to make possible in every encounter, conversation and project: "Courage!" In this newsletter you will find impressions and reports on many of the events and initiatives. Many people support the work of the Youth Section, including institutions that give us a financial basis out of their interest and trust in young people’s initiatives, intentions and actions - our heartfelt thanks to them! "SPIRITUAL FELLOWSHIPS IN SERVICE OF THE WORLD"
From the 1st to the 4th of February, over 100 young people gathered at the Goetheanum for the conference "February Days". Participants included the students of the Anthroposophical Studies (Dornach), the Foyer Michael (France) and members of the different Youth Sections in countries such as the Netherlands, Latvia, Germany and Brazil. 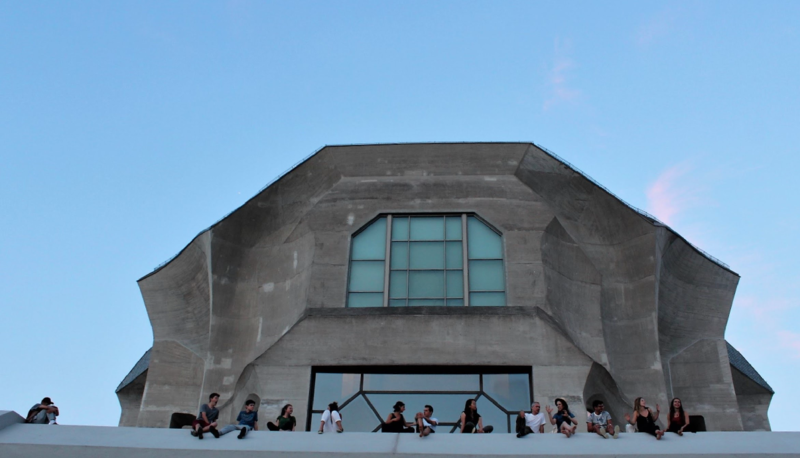 The Youth Section at the Goetheanum’s research project that seeks to understand the questions, motivations and values driving today’s youth into a common future. 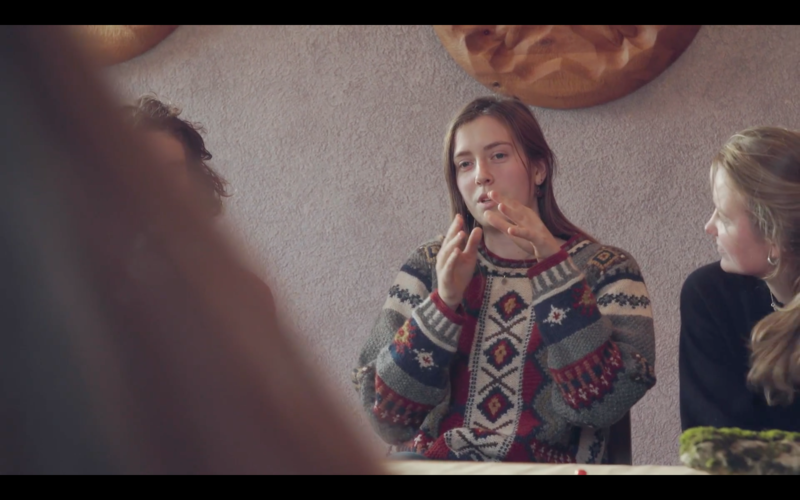 If the Youth Section at the Goetheanum were a treasure box, its golden prize would certainly be the questions that day after day young people bring with them to our Dornach House, our conferences and our projects. 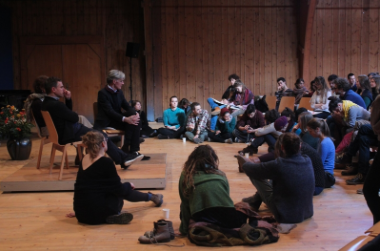 From 6-8 April, more than 30 young class members met at the Goetheanum, in Dornach, and delved into the contents of the first three class lessons. Of the 171 class members worldwide, who are under 35 years old, almost a quarter came. «Becoming Human» was the title of the 2018 Summer Youth Conference. The preparation involved a collaboration between members of the youth sections from different countries, which practically meant that for a year we organised most of the conference on Skype. It was an incredible challenge considering the time zones between Australia, India, Israel, Central Europe, USA and Brazil.